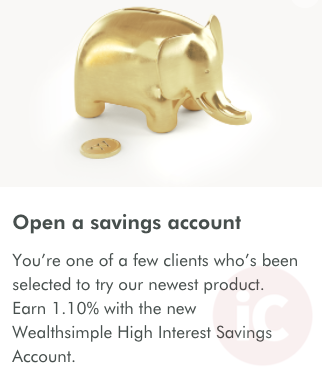 Canadian automated online investment platform Wealthsimple recently soft launched a new account option for customers: High Interest Savings Accounts. 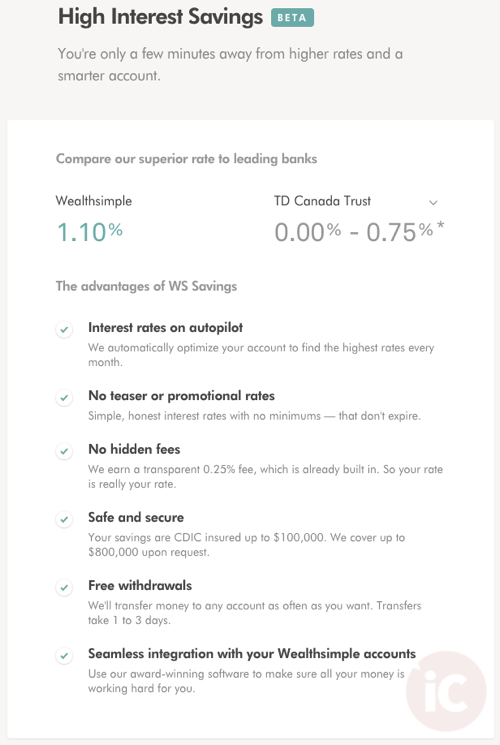 Currently in beta, Wealthsimple says their new High Interest Savings Account offers a better rate than Canada’s big banks. The current Wealthsimple interest rate is 1.10%, which includes a 0.25% fee, built into the rate. Wealthsimple says interest rates at the current 1.10% applies to any amount, whether it is $1 or $10,000, with no minimums or promotional periods. 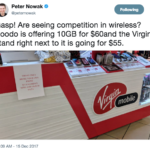 Accounts are insured up to $100,000 by the Canada Deposit Insurance Corporation (CDIC), while the company says they can cover up to $800,000 “upon request”. There are free withdrawals to your bank, which will take place in 1-3 business days. As for interest rates, Wealthsimple says they “automatically optimize your savings for the highest rates,” which are based on rates from the Bank of Canada. Wealthsimple allows investors to sign up for an account within minutes right from their iPhone, to invest in automatically managed low-fee ETFs, which have lower management fees compared to traditional mutual fund offerings from banks.